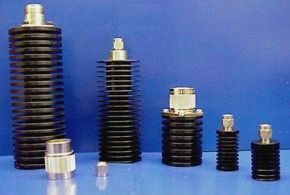 ATM manufactures high quality Coaxial Terminations, up to 40GHz, to meet or exceed your requirements. 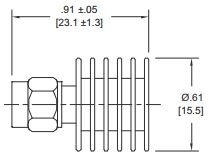 Our line of Free Standing Convection Cooled Terminations offer great flexibility for all your engineering applications. Standard models are offered with male connectors but female connectors can be supplied upon request. Please call us with your requirements and discuss your needs with one of our design engineers. Freq. (Ghz) VSWR Model No. Freq. 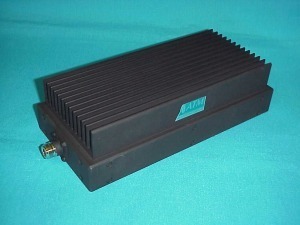 (Ghz) VSWR Model No. Fig. Note: SC connectors also available for these models.